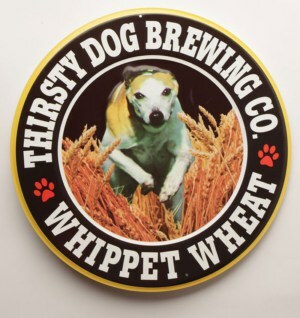 Tin Tackers Sign-Thirsty Dog Raspberry Ale | Thirsty Dog Brewing Co. 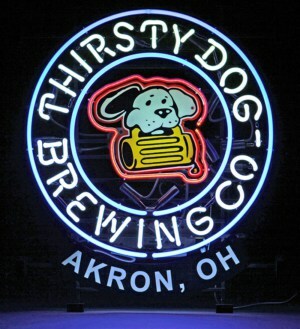 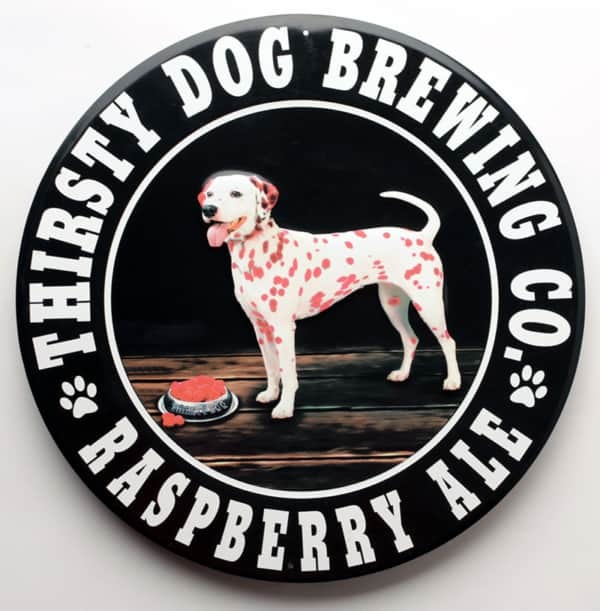 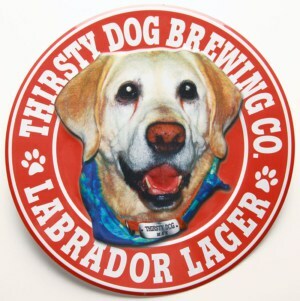 The white dalmation with pink spots from Thirsty Dog’s Raspberry Ale is embossed on this tin sign. 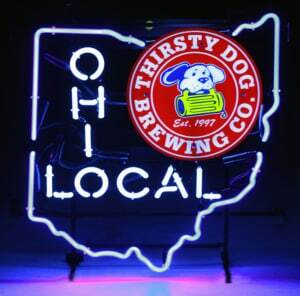 Detail: 15 inch, aluminum, double punched for hanging.